This Bed Bug Killer Kit enables you to carry out a comprehensive bed bug treatment to two bedrooms. The combination of insecticides in the Kit delivers a rapid knockdown of bed bugs and helps maintain long-lasting bed bug control. 2 x Pest Expert Formula 'C+' Bed Bug Spray 1L: For application to bed frames, carpets and even mattresses. Offers fast knockdown of bed bugs and long-lasting bed bug control. One litre covers 20 sq m.
1 x Rentokil Insectrol Bed Bug Spray: A highly-effective aerosol insecticide for blasting cracks and crevices where bed bugs may be harbouring. 2 x Pest Expert Formula 'P' Bed Bug Powder: A permethrin dust which kills bed bugs, nymphs and eggs. 2 x Pest Expert Formula 'P' Bed Bug Fogger: A powerful one-shot aerosol for fumigating bed bug infestations. 1 x Safety Mask & Gloves: For airway and skin protection when administering insecticidal products. The Kit is also supplied with step-by-step instructions to explain how to carry out a complete professional-standard bed bug treatment using the bed bug products provided. This kit is sufficient to treat two room. 2. Apply 1 litre of Formula C per 20 square metres or directly at insects. Full instructions are included with the Bed Bug Treatment Kit 2. The Bed bugs don't bite here I was coming to my wits end with the bed bugs, constantly having to wash bedding and just didn?t know what else to do. As soon as I had washed, they were back. Having read up on this website found that washing alone was not enough for the volume of my problem so bought this bed bug killer from them. It came next day which was really appreciated and now I'm bed bug free! Fast delivery of an excellent product. Excellent Products. After spending £200 on the professionals for bed bugs Treatment they didn't do the job properly ! So I decided to do it myself brought these products worked really quickly killed all bed bugs and the eggs why use professionals when you can do it yourself at the fraction of the price highly recommended products. Was very pleased with your product it worked almost instantly, in east London there seems to be a bed bug problem and I would recommend anyone with this problem not to hesitate, but to phone you and get your expert advice and products. 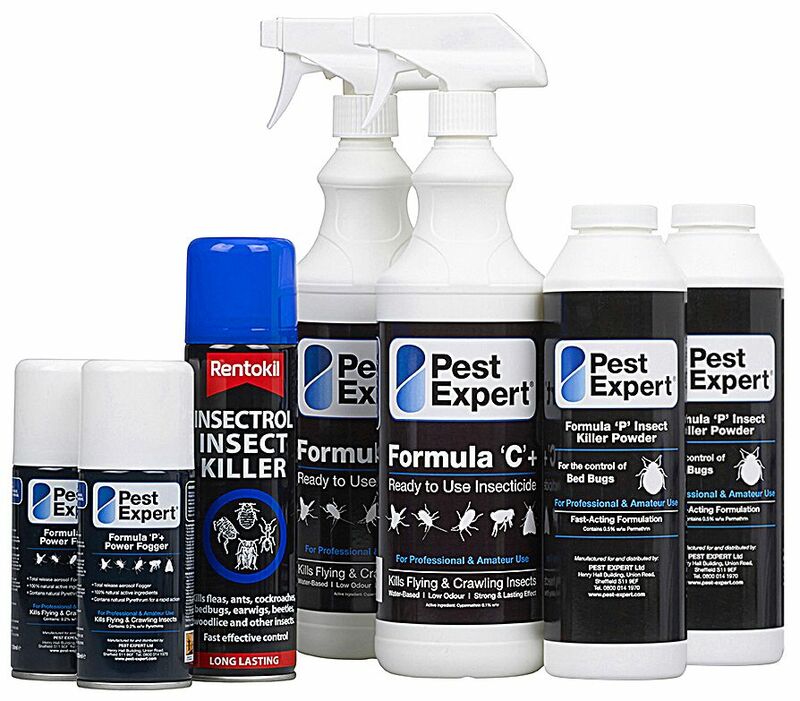 This is the best products for Bed Bug treatment. All of them dead and lost. Delivery was so quick, very happy with service. Have used the products and so far i haven't seen any more bed bugs. Great products. No more bugs. Recommended highly I see one adult bug and never see anymore used all sprays and powder and the fumer smoke bomb before anymore evidence, enough to kill you the smoke but worth the smell and the few hours wait great product !!! Works no evidence of anything. So far the kit seems to have worked, instructions are good.